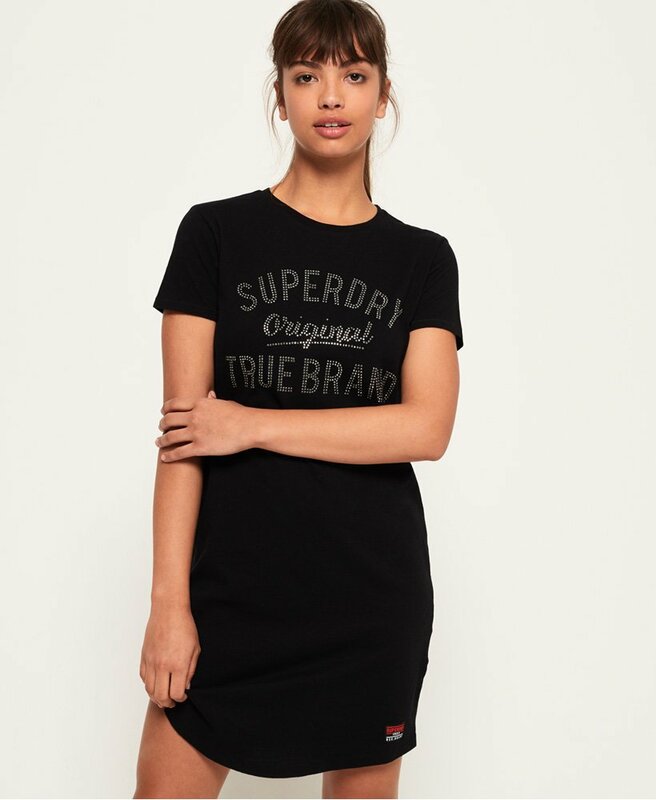 Superdry women’s slim embellished t-shirt dress. Boost your round-the clock wardrobe with this slim-fit t-shirt dress. It features an embellished Superdry logo design across the chest and a logo badge above the hem. Complete the look with trainers or heeled boots.